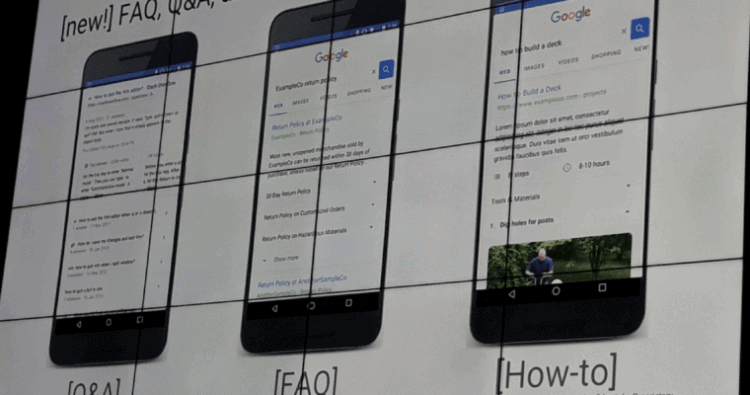 Google previewed three new important features coming to search results and these are keen to Q&A, FAQ, and how-to content. The announcement was made by Google’s Gary Illyes at Google Dance Singapore. As per a Twitterati who is an SEO named Akhil Agarwal, Google will be highlighting Q&A, FAQ, and how-to content with customized rich results. As appearing, the rich results will appear at the top of the page, similar to how featured snippets are displayed. Also, the result types shown look like they will take up most of the screen. These containing drop-down menus, could very well end up being expanded across multiple screens. As, Google introducing a new type of structured data for marking up tables, it’s being believed that Google may be planning to introduce more types of markup in the near future.